At RIVUSS we pride ourselves in delivering a product that epitomizes luxury, quality, and safety. Our company policy is to bring a product that is safe to use for the environment, around your family and friends. RIVUSS upholds all actions and laws to provide lead free faucets for the luxury market of America. Since 2007, Infinity Drain has established a reputation for design-centric, premium quality decorative shower drains. With award winning designs and innovations, including the "Site Sizeable" linear drain, Infinity Drain is helping to shape bathroom design. From hand polishing decorative grates to custom fabricating to your exacting specifications, Infinity Drain offers the broadest selection of decorative choices and installation options. Infinity Drain products are proudly fabricated in Long Island, NY, USA. All products are CSA approved for USA and Canada. Use the Houzz Professionals listings to find East Meadow, NY kitchen and bath accessory vendors. Don’t rule out asking a kitchen manufacturer’s design team for help, too. Skills often can be overlapped to save you time and money! Here are some related professionals and vendors to complement the work of kitchen & bath fixtures: Kitchen & Bath Designers, Kitchen & Bath Remodelers, Interior Designers & Decorators, Cabinets & Cabinetry. Find kitchen and bath fixtures and accessories, plus installation experts, on Houzz. 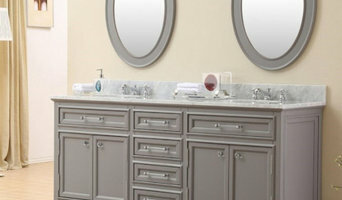 Check out New York kitchen products and installers, and bath plumbing products and installers, on Houzz. You can also look through project photos provided by East Meadow, NY renovators, retailers and designers.